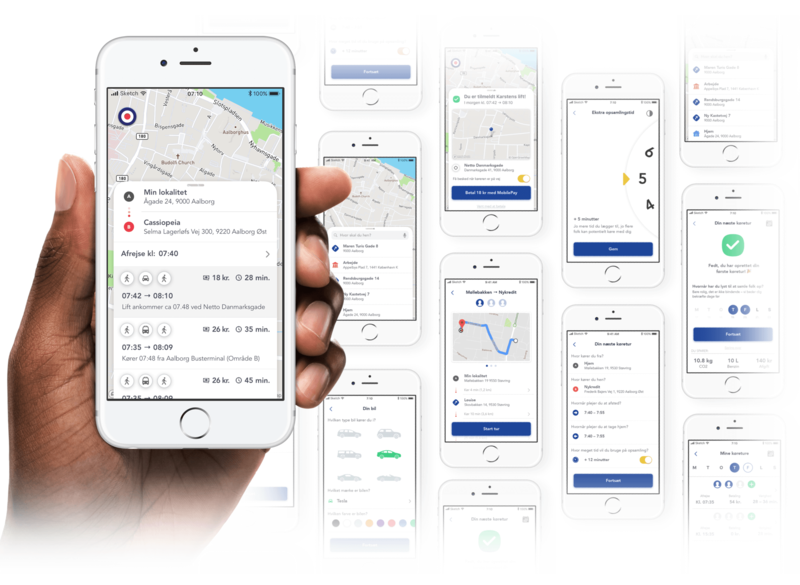 Incorporating a ride-sharing element into the existing Rejsplanen mobile application. Several interactive Hi-Fi mobile prototype showcasing use cases of the proposed concept. â€�A student and I began discussing and simultaneously sketching flows and ideas. Using whiteboard-surfaced iPhone-canvases, we were able to ideate and sketch rapidly at low cost, while maintaining the constraints of mobile UI design. â€�Using the physical canvases, we were able to work open and quickly iterate on different use cases related to our system design and user flows.